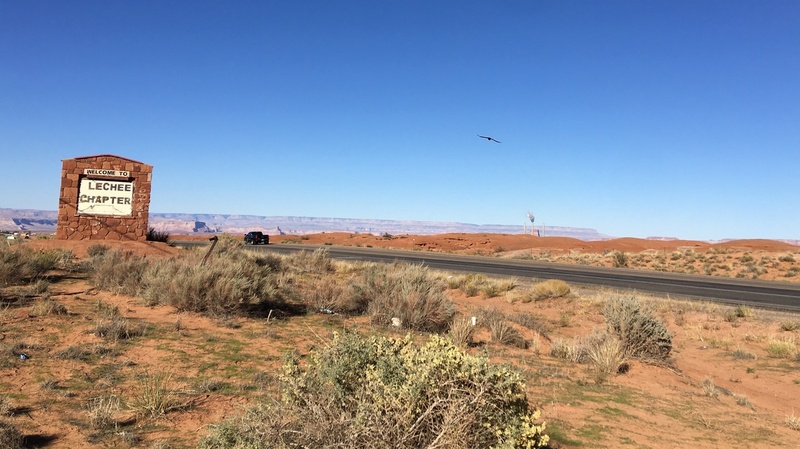 Looming Shutdown Of The Navajo Generating Station Means New Jobs Far From Home For decades the Navajo Generating Station provided a good livelihood for Navajo and Hopi tribes. But the plant is scheduled to close next year, leaving 500 workers scrambling for an alternative. The Navajo Generating Station, the west's largest coal-fired electricity plant, will be shut down at the end of next year unless a new owner can be found. Many of the 500 employees are already finding work far from the reservation. 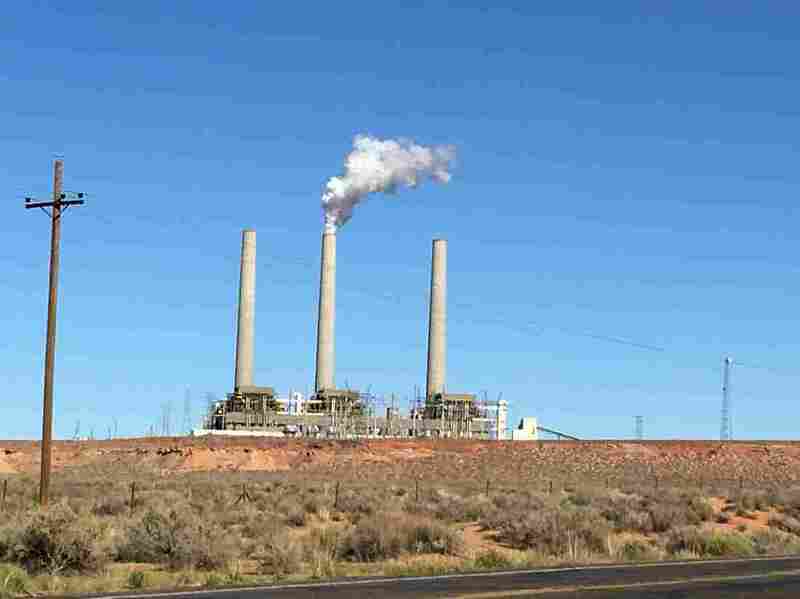 Navajo leaders are scrambling to find a new owner for the west's largest coal-fired plant, the Navajo Generating Station in northern Arizona. For four decades both the Hopi and Navajo tribes have relied heavily on jobs provided by the coal industry — both at the plant and at nearby coal mines. But unless a new owner for the generating station can be found, the plant is scheduled to shut down at the end of next year. And many of its employees aren't waiting for a new owner. Many people who work for the Navajo Generating Station live in the LeChee Chapter of the Navajo Nation, in northern Arizona. From the LeChee Chapter House just south of Page, Ariz, you can see the three smoke stacks from the Navajo Generating Station poking through the horizon like a pitchfork. Behind them red sandstone mesas tower over the gleaming Lake Powell. 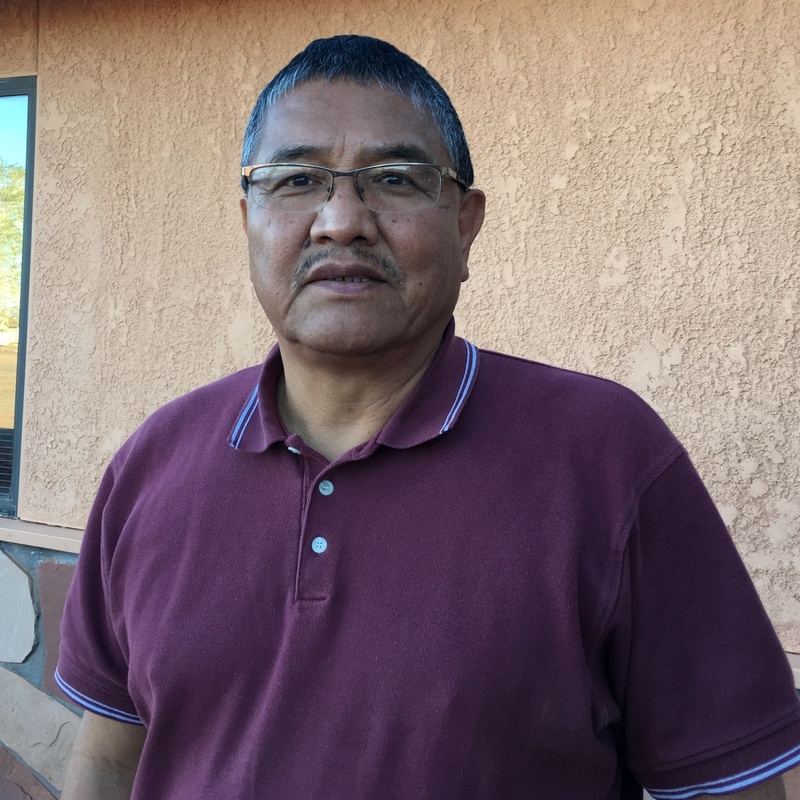 Jerry Williams is the president of the Navajo Nation's LeChee Chapter and he's worked for the Navajo Generating Station for 38 years. Two weeks ago he had to make a tough decision — stay with the plant or accept a redeployment down near Phoenix. "I thought I'd be the last one to turn that switch off and say 'hey, we're done,' but it didn't turn out that way," Williams said. Williams chose to take a job at a natural gas facility owned by Salt River Project — or SRP — the utility that operates the Navajo Generating Station. "I'm short of retirement," Williams said. "I'm 58 years old. If I was going to retire next year, not being 65, we get penalized for every year that you retire early." Jerry Williams is president of the LeChee Chapter and has worked for the Navajo Generating Station for 38 years. He recently took a new job 300 miles south. Williams said his wife refuses to go to Phoenix. So he plans to drive 300 miles back to LeChee on the weekends. SRP announced last year they planned to shut down the 2,250-megawatt plant ahead of schedule, because producing electricity from natural gas is so much cheaper and cleaner than it is to produce it from coal. Navajo leaders are hoping to find new owners or investors, but last month were informed that two investment companies — New York investment company Avenue Capital Group and Illinois-based Middle River Power — were unable to find enough customers for the power produced, and was pulling out of the project. Efforts continue to find a new owner, but the prospect of a plant shutdown by the end of next year is now more likely than ever. About a third of the plant's 500 employees have already taken new jobs with SRP near Phoenix, and more may follow. I thought I'd be the last one to turn that switch off and say 'hey, we're done,' but it didn't turn out that way. "A few people I know they turned their offers down," Williams said. "A couple of them I know are close to retirement. And some of them they have families. They have kids here in the school system and some of them have property they bought here." So they will settle for minimum wage jobs or live off the land like their ancestors have done. No other job on the Navajo Nation pays as well as the Navajo Generating Station. The revenue, taxes and royalties from coal make up about a third of the Navajo operating budget and most of the Hopi budget. "There's no comparison," said Sean Tee, referring to the money he was able to earn working at NGS. He was relocated to a job at a natural gas plant near Phoenix a few months ago. "The job that NGS provided was you could live beyond your means. I was able to provide a pretty good life for my siblings." And Tee still sends money back home. He misses his family and animals in Tuba City. "I like the rural life, where there's a still a dirt road and there's less noise, less traffic, less people," Tee said. "I had a few ropin' steers, four horses. We always had sheep but the sheep didn't last that long, because we'd eat them." The job that NGS provided was you could live beyond your means. I was able to provide a pretty good life for my siblings. Jonathan Miller, on the other hand, said he's given up making the Navajo Nation home. Miller still lives in LeChee and works for the plant. But he said he sees too much dysfunction on the reservation and economic struggles. "When you look at the economic condition of the reservation the only thing that holds this nation together is our natural resources," Miller said. Half of the tribe is unemployed. "I think a lot of the younger people are willing to move on," Miller said. "I don't think they have too much of a tie to the land or to their grandparents way of lifestyle. They weren't trained how to do that anymore." So when SRP hands Miller his redeployment offer, he said he will take it and go.